Is Apple Peel Good For Consumption? A skin-on apple a day keeps spare pounds away. The peel is also home to ursolic acid, an important compound in the obesity-fighting ability of apples. Ursolic acid seems to increase muscle and brown fat, which in turn up calorie burn, thereby lowering obesity risk, at least in mice, according to a 2012 study. Should I eat the apple peel? – Most of the fiber and antioxidants are in the peel, says Dianne Hyson, Ph.D., R.D.6, a research dietitian at UC Davis in the Department of Internal Medicine. I have type 2 diabetes, can I eat apples? – According to the American Diabetes Association, “Apples are a nutritious food and you can still eat them even if you have diabetes.” The Association reminds people to eat the peel and advises on buying small apples (2.5 inches in ddiameter. This entry was posted in LifeStyle+Health and tagged Apple peels has nutritional value, Apple peels is very good for you, Is apple peel good for you?, Should we eat the peel of the apple?. Bookmark the permalink. I always eat my apple peel. Eating apple peel is OK but when am juicing apples I throw away the skin. 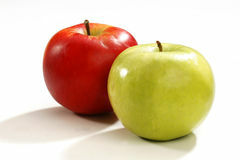 The red and yellow skin of apples taste better than the green ones.